The Australia Saturday Lotto, also known as TattsLotto, has been around for decades and is the country’s oldest lottery, but it’s still immensely popular today due to its fantastic odds, respectable prizes, easy gameplay mechanics, and occasional Megadraws and Superdraws that quickly crank up the excitement to 11. In this review we’ll take a look at these elements of the game as well as a few others to determine if it’s ultimately worth playing. 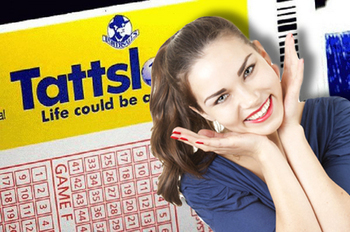 Saturday Lotto’s early days go way back to June 24, 1972, when it was first introduced in the Australian state of Victoria as a means to generate funds for the state’s health system. Modelled after various European lotteries of the day, the game was the first lottery in Australia to feature a transparent barrel comprising a range of 40 numbers, from which players needed to match 6 in order to win. It was also the first game to allow players to choose their own numbers. This format was kept consistent until July 1985, when the range of numbers was increased to 45. In both of these early iterations of the game, a supplementary number, which is still a mainstay of Saturday Lotto today, was also drawn. Back in those days, tickets for the game consisted of an original ticket, which the ticket agent would keep, and a carbon copy, which the player would keep. In the late 80s the system was overhauled using computer technology, which drastically simplified the entire process both for the operator and players alike. In 2013, the game was finally expanded to all of Australia’s other states, at which point it became a national lottery. Saturday Lotto’s gameplay mechanics are very straightforward, as 6 main balls are drawn from a range of 1 to 45. Any player whose selection matches these 6 numbers wins the jackpot. From the same pool, 2 supplementary numbers are also drawn, and they dictate who wins three of the secondary prize tiers (which are more usually referred to as “divisions” within Australia). Another way to play the game is to purchase a “System Entry”, which allows you to play up to 20 numbers in total on a single ticket—for an additional price. This can increase your chances of winning because if any combination of 6 numbers in the set you’ve chosen matches the 6 winning numbers, you’ll win. If you play a “System 8”, the 8 numbers you choose could have 28 winnings combinations; with a “System 20”, there could be 38,760 winning combinations! Please note, however, that while this feature is common within Australia, it’s not available on all online lottery sites. Another interesting official feature of Saturday Lotto that is quite rare among lotteries is the Syndicate mode, which lets you pool your tickets with a group of people. This is definitely one of the best ways to increase your chances of winning. Saturday Lotto Megadraws occur approximately six times per year, and their jackpots are guaranteed to be at least AU $20 million (€12.5 million). If you’re impressed with the size of the Megadraws, then the Superdraws will really blow you away. That’s because these draws, which usually take place only once per year around Christmastime, are often closer to AU $30 million (€18.7 million)! Finally, Saturday Lotto can roll over a total of four times before the prize rolls down to the secondary prize division. However, because the odds are so good, it’s extremely rare for this to happen because almost every draw has at least one winner who nabs the top prize. 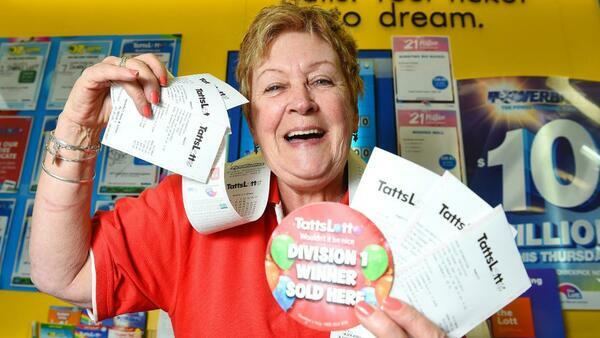 The odds of winning Saturday Lotto are among the best of any major national lottery, as they are just 1 in 8,145,060. Compared to Australia Powerball (1 in 134,490,400) and Oz Lotto (1 in 45,379,620), these odds are phenomenal. In fact, there are only a few other lotteries in the world that offer odds this good. These include Hungary Hatoslottó (1 in 8,145,060), Austria Lotto (1 in 8,415,060), and UK Thunderball (1 in 8,060,598). 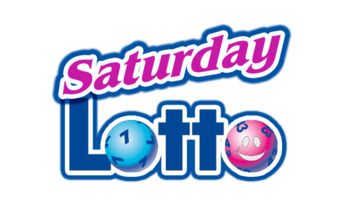 As you may have guessed by now, Saturday Lotto draws happen only once per week on Saturdays. They are held in Melbourne at 20:30 AEST / 21:30 AEDT. Although most of Saturday Lotto’s regular jackpots are around AU $4 million (€2.5 million), its Superdraws and Megadraws are when things get really exciting because both of these draws’ jackpots are much bigger. Plus, since the odds of winning one of them remain the same as the regular draws, they are well worth playing. If you are fortunate enough to win a prize in Saturday Lotto, you will receive your winnings in a single lump-sum payment. There is no annuity option here. Australia does not consider lottery winnings as income, so they are never taxed by the country’s government. If you want to play Saturday Lotto from abroad and live in another country that also doesn’t tax lottery winnings, then you’ll get to keep 100% of the winnings all to yourself. By far the easiest way to play Saturday Lotto if you reside outside of the “Land Down Under” is via some of the best online lottery sites. These lottery ticket messenger services let you play Saturday Lotto and most of the world’s most popular lotteries whenever and wherever you want. To sweeten the deal even, many sites also offer great welcome bonuses that will give you a free ticket or match the value of your first purchase. Australia Saturday Lotto – Is It Worth Playing? If you’re not necessarily looking for monster-sized jackpots like those common to Powerball and EuroMillions, then yes, Saturday Lotto is definitely worth playing. The game offers great odds on what are usually respectable prizes, and when the Megadraws and Superdraws are held the jackpots can become incredible. Plus, the ticket prices are cheap and the prizes are tax-free at the source. What more can you ask for? Saturday Loto is dynomite! Killer prizes, n killer odds.. Only lottery I ever played that I won good prizes on 2 diferent occasions. Love it and will keep playing many times.